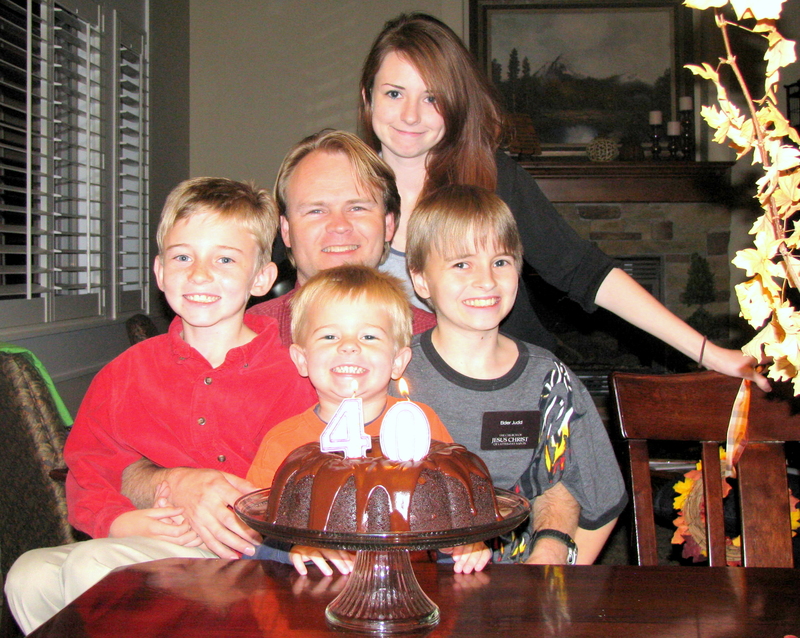 John and I have celebrated his birthday together for the last 18 years. This year he is hunting. Fine, then.... Celebrate with stinky hunting men. 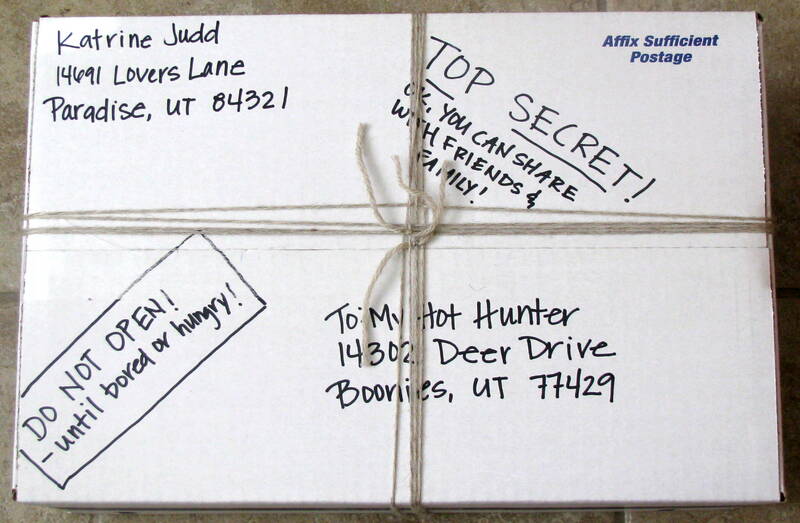 I did create a care package for him. I saw an idea for creating a magazine for your man and I went with it. 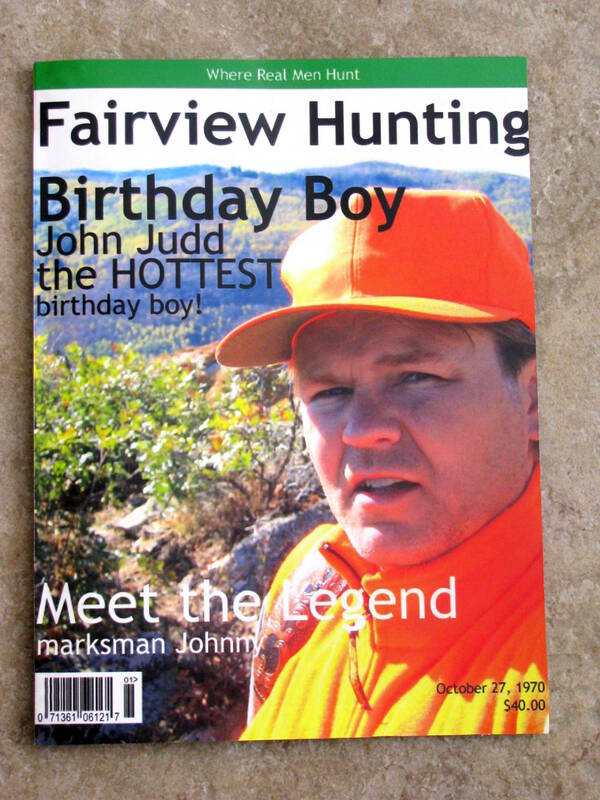 I purchased a hunting magazine and made a new cover for it using this website. I used his birthday for the date of publication and $40.00 for the price because this birthday is the big 4-0! That's right John is now 40! I wrote articles for the magazine with pictures. Some of his family wrote articles also. John's sister even wrote advertisements. I then glued them over existing articles so as he's flipping through the magazine he suddenly finds an article about himself. So fun! I also replaced some pictures with my own pictures. So much fun! 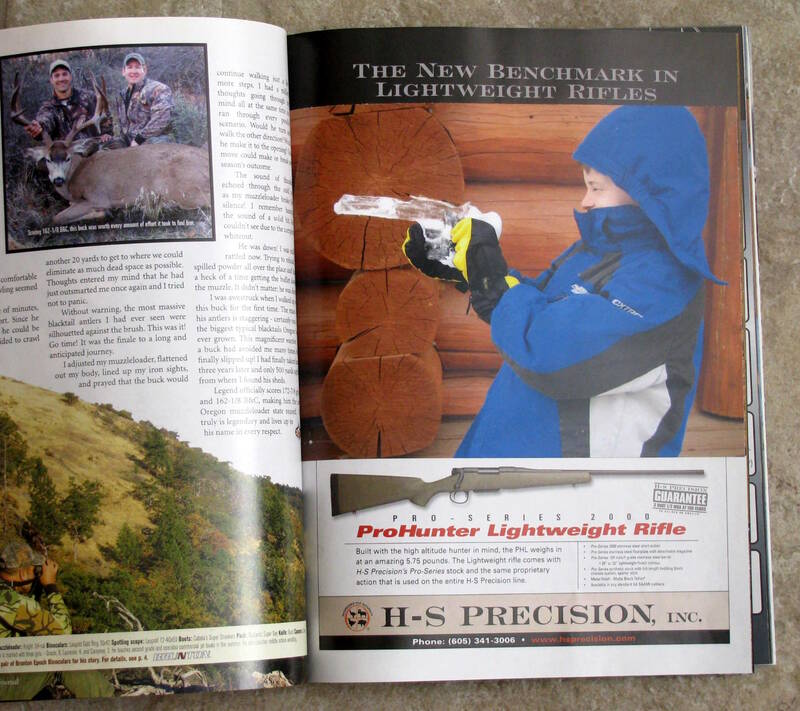 This is a gun advertisement that I replaced the picture with one of Ethan using an icicle for a gun. It was hard to tell I replaced the picture. It looked as if it had always been that way. So cute! One of the pages featured his birthday party invitation. John did not know about his birthday party until he found it. 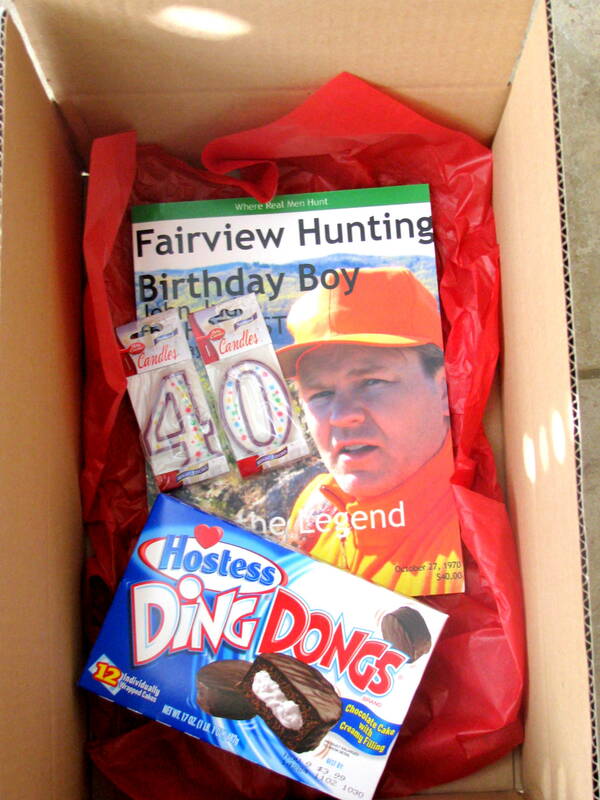 I am throwing him an amazing race birthday party! I packaged it all together and placed it on the car seat for him to find when he leaves for his trip. The best part is that he loved it! I noticed that he even took it to work. Wow! That's huge! Happy Birthday John! I'm now officially married to an old man! Print out pages at a copy shopping using a glossy paper. It looks professional and the paper is more like the paper in the magazine. Use a spray adhesive to adhere your articles and pages. It will come out smooth and even. Glue your cover on last. (I wish I'd done that!) The cover will be bent back when you are working on the pages inside. You are such a good wife.